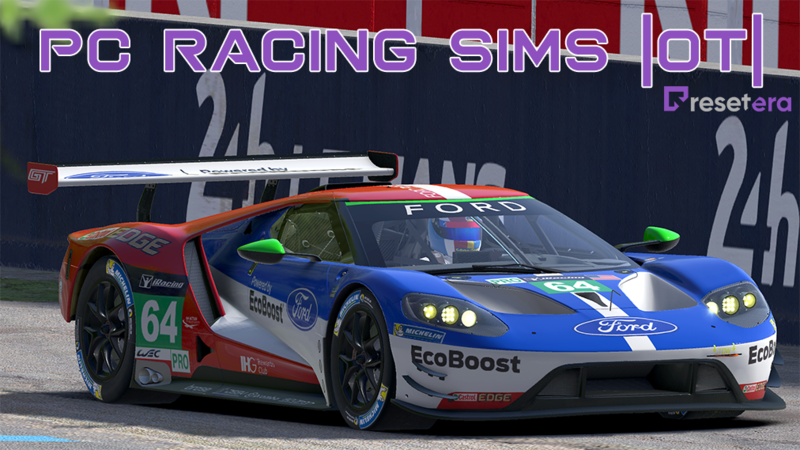 Welcome everyone to the new ResetERA "PC Racing Sims" Official Thread! I'll be completely re-doing the entire thread over the course of the coming week. Please be patient. Thanks! of racing series – from karting to a variety of formula cars, to the popular Mini Challenge. Thanks for making this Big! Glad we can keep this going here! You bet! I'll get it cleaned up, and looking worthy over the next few days. I'm looking forward to seeing all our sim buddies trickle in. Same here, was mostly lurking before but i'll try to get more involved. Whew. Managed to squeeze though registration just in time for bed! Nice! Glad you got in finally. Good to see you guys. Have a seat. The fireplace is roaring, the tea is hot. Looks like a lot of us made it over here pretty easily, that's great! It's been an emotional ride. Hello everybody. Happy to finally be posting in this thread now that its in its new home. Happy to see more faces. I pecked away at some of the OT stuff today, but it still needs a lot of work. It was very much out of date, which is my own damn fault! Well get after it! :p I've gotten so used to it that it doesn't wow me anymore. I won't play iRacing or AC without it though. Big Takeover, does a DD wheel make drifting or even correcting a slide easier? I have never been able to drift with a gear driven wheel like my G27. I was watching this video the other night and it sold me on a OSW even more than I already was. How are my fellow PC Era enthusiasts getting on with pCARS 2 at the moment? I keep monitoring the price and keep looking at a rebuy, then keep remembering that I've got about 70 different tracks to race on in Assetto, and I just love the physics. I *know* that playing the waiting game will ultimately reward me with a better, more complete, less buggy product but... shiny new toys are shiny. Big Takeover[/USER], does a DD wheel make drifting or even correcting a slide easier? I have never been able to drift with a gear driven wheel like my G27. I was watching this video the other night and it sold me on a OSW even more than I already was. Try that Dallara car mod in AC and tell me you can't drift with with a G27. Hell, you could drift using a keyboard and chopsticks with that thing. I'd say it's okay at the moment, but then again I haven't put anywhere near the time in it that I have other sims. I just can't get the FFB feeling where I want it. 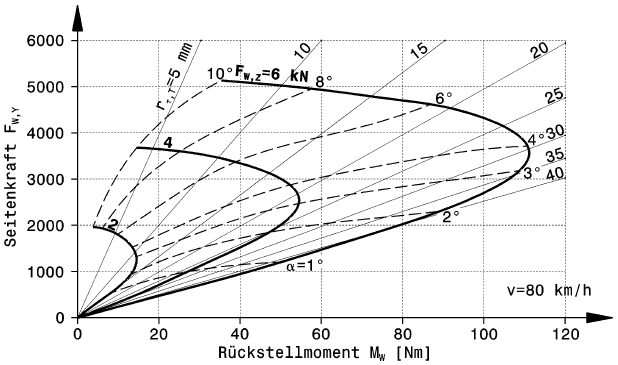 The biggest differences going to a DD wheel must be how good you can feel little bump details even while somewhat strong cornering forces are applied that are usually swallowed. It should also be easier to correct a slide as you said as changes in force can be applied faster. However, the price differences from a CSW v2.5 to a "low-end" DD wheel is not that much any more and there isn't really any negatives on the tech side with a direct drive wheel. Meaning, even if the CSW v2.5 video looked super smooth and great for drifting, a DD wheel does exactly that and better. Have you seen Niels' Caterham drift video? That video of Niels always impresses the hell out of me. There is just no way a G27 will even remotely spin or respond that fast, then it tries to fight me when I need to do try to make a correction. It's kinda crazy when you know how weak a wheel it is, especially compared to a DD. It does to a degree, sure. The speed, and quickness, along the strong self-aligning torque make drifting/sliding more intuitive. Of course it won't turn you from "I can't drift with a G27" to Ken Block obviously! How are my fellow PC Era enthusiasts getting on with pCARS 2 at the moment? I haven't done much else beyond our hot laps, so clearly I'm no expert. However it's far beyond what PC1 managed to do from a physics/tires standpoint, which as you'd imagine, I think is pretty important. It's the straw that stirs the drink. PC2 obviously hits the mark much closer to their vision for the game. I'd don't want to hear about The Stig, or Rene Rast, or any of this other crap if you don't deliver simulation. Thankfully they did, so that's a big step forward. Add to that all the other interesting things about Project Cars, and you've got a really fun title to play. Is it world class in all the important categories? No, but that's OK. It's finally sitting at the table. I don't think your reward will amount to anything beyond what you'd get from a Cracker Jack box. Don't stand there like an old lady clutching her purse watching everyone have fun. Life's too short, brother! The biggest difference is the window for smooth, effective driving is crystal clear, because beyond that lies a lot of very strong force! It's confidence inspiring knowing the point of no return feels so different than operating the car properly within the limits. To be fair, I'd say all the wheels I've had over the years were progressively headed in that direction. I had a CSWv2 before this, and it was at least as eye opening coming from a T500, as this OSW is to the CSW, if not more. Now, you are pretty fast, much faster than me for sure, and you're still not driving out the last 7% of a car. Wonder if it just harder in sims because of still not sophisticated enough tire models, missing centrifugal forces and seat-of-pants feel. Here, on a grooved tire that can take 10° slip angle, it's already 30-40% side force still available beyond the peak of self-aligning torque. Hello everybody. I'm looking for some "must have" mods for Assetto Corsa. RaceDepartment is my go to site for mods, So any other site or mod recommendations would be welcome. I'm particularly looking for any Formula 1 tracks (past/present.) And in terms of cars I would love some Aston Martin or Jaguar. As far as the cars go, there's not a lot of quality Aston and Jag stuff out there, as far as I can recall. For F1 tracks, I have Suzuka (it's alright), Donington (1930s and modern), Montreal, Paul Ricard, Jerez, Fuji (a new one is coming), Melbourne (haven't raced it), Mexico (same), COTA on that list. On the tracks front in general, there's some pretty good ones out there like Road America. Depends on what you're looking for in particular. So i did manage to get in! Nice to see all the cool folks already in here. Since its a new audience, feel free to add me on steam for some Pcars2, AC, F12017 or Dirt Rally racing. It´s the same as my username. As for AC mods, the F1 1988 is a pretty good one regarding tracks. They are not RSR compatible, but they are good enough rFactor rips. Likewise, I'm in a few leagues as well for those games. Keep in mind the F1 1988 tracks have not been updated to the current AC version for a while, so I have no clue if that will affect their quality, too. Yeah, I have a few of those tracks already (linked below.) What version of Suzuka do you have? I only found a rather old/outdated version on RaceDepartment. Yeah, sadly it seems rather barren as far as any Aston Martin and Jaguar mods. I do remember trying a good few of the 1988 tracks, mostly hit and miss when it came to quality, I think Adelaide street circuit was one of the better ones. I have no idea if they work with newest version of Assetto Corsa, as it has been sometime since I last tried any of the 1988 tracks. Hello all; finally made my way onto the ResetERA. Good to see so many names from the other forum! Why not continue to wait until the game goes on discount? As you've stated, you have enough to play but it's up to you. I have been in the same mindset as recently as pCARS 2 dipped into $50 Aussie rubels territory but I'm not seeing a constant stream of updates, AI appears to remain a mess and I'm happy to wait for the fixes to arrive. There will be a Steam sale for the USA's black friday and further sales leading into Xmas. Worth a read for those still on the fence; ignore the URL which gives away the overall view and read the article as there is praise mixed with disappointment. I'll probably find that I've already got most of these already..! Another benefit of VR is that rough-looking tracks don't look quite as rough through the HMD. How have I only just seen this thread now? Very happy to see it here along with the rest of you guys. The PCars 2 OT goes up later today, look out for it. I hope a patch for it goes up the same time as yours :) the driving assist is bugged to hell and back. Ripped models are never ever a good idea. Always incredibly shoddy physics which just makes the whole "simulator" aspect moot. TBH I've not really had a chance to drive it that much beyond checking out the cockpit in VR (which was very nice), hence the 'worth a look' comment. I did notice that the audio was very quiet though. BTW, the last two links to non-RD site may contain ripped car models and shite physics. I don't download cars and tracks from anywhere except RD so I cannot vouch for their accuracy. If you are feeling flush with cash, I recommend the work of Race Sim Studio (http://racesimstudio.com/) which is equal to anything Kunos have made. 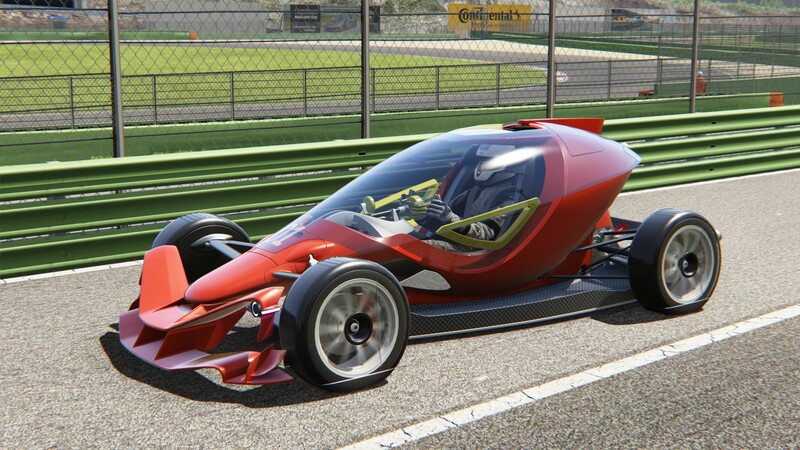 United Racing Design also do great work (https://www.unitedracingdesign.net/); URD's physics are perhaps a touch less accurate that that of RSS however their 3D models are used by a lot of actual sim development teams, including Kunos. These are fantastic! I didn't already have any of them so thanks very much for enlightening me - I've no idea how I managed to completely avoid knowing they even existed up until now. I had just enough time this morning to run three laps on each of them and didn't find any issues at all. The AI routines were all good too (in my Abarth 500 Assetto Corse, anyway). I don't know what they're like in 2D but in the forgiving filter of VR they all looked great and performed without any problems. It's so nice having different variations of existing favourites with different atmospheres and layouts. Spa, Monza, and Imola jumped out as being ones that i'll be spending a lot of time at, but there are a whole bunch of great circuits that I don't already own versions of too. The weakest for me was Detroit, but I don't really like walled-in street circuits with lots of slow, sharp blind corners anyway. I took part in that a day after it was up and thought is was damn hopeless. "Which has the best physics?" ...what? That question should have been split in about 10 questions in a 36 question long survey. After I was done I thought about making a survey for you guys to vote on competence, entertaining-factor etc. on sim-racing "youtubers". I know Marvel is working on his own spreadsheet that he is hoping to share with people here. If you've got suggestions, perhaps he'll take them. Maybe we can convince him to turn it into a poll. Hey people! I wasn’t a big contributor over at the other board but with me recently getting PC2 and a wheel to go along with it in enjoying the PC sim life. Plan on getting AC when the next Steam sale hits so I think I’ll be spending a lot of time in this thread. Hello all! I've always loved reading and keeping up with the Racing thread, even though I'm really more of a casual racing player than most of you are. 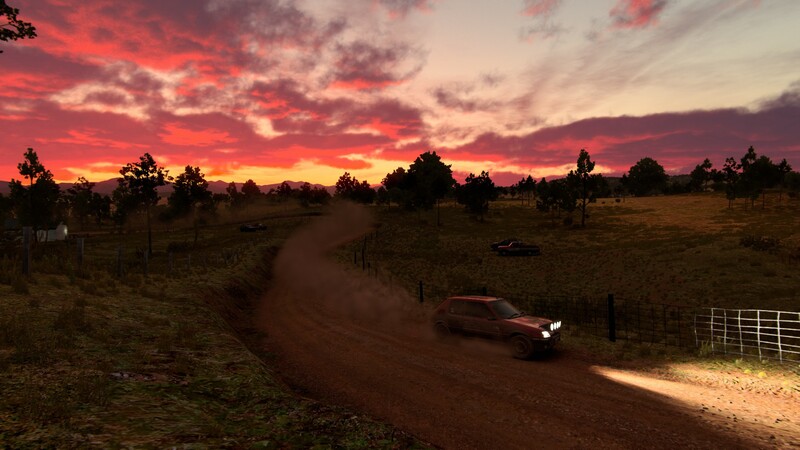 My current racing game of choice is DiRT 4 for example, which I'm sure is way too "arcadey" for most of you! Just a warning on AssettoDB and Assetto Club car mods: most have not been updated since the 1.9 update. The sounds may not work at all or the mods may be incompatible with the current version of the game. The mod list TJP posted is hard to beat. All legit mods and some of the best there are for AC. There's always some good ones in the works too. Betta was kind enough to point out theissues with imgur here at ResetERA. I'll migrate the OT over to a new host later today. Sorry about that.